Transformational piano composition to help overweight, anorexia, bulimia, depression and low self-esteem. Feeling Fat: Touching Deep With Music, from Sound Feelings, is a downloadable .mp3 or FLAC intended as an adjunctive, supportive entrainment weight loss music tool to encourage emotional expression, which complements natural healing, treatments and low-fat (lo-fat, non-fat) diets for weight-management, food addictions, fat-loss and eating disorders. This music first reflects the current stress or turmoil and transforms into the desired mood and feeling. 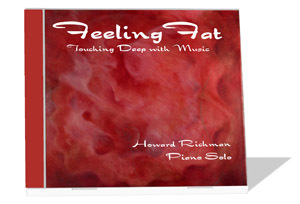 Feeling Fat: Touching Deep With Music. Music Can Touch Emotional and Physical. Emotional and Physical are Linked. It has been shown that there is a “mind-body link” between the emotional and physical. This means that certain emotional states are associated with certain physical conditions. Weight issues have been found to be associated with depression and a lack of self-esteem. If the emotional pain is reduced, it could be indirectly helpful for the physical condition. Similarly, if the physical condition is improved, it could be indirectly helpful for the emotional state. See the Uses and Applications for Feeling Fat. Listening Suggestions for Feeling Fat. Available INSTANTLY. After you make your payment, you will be given a password which will allow you to download the .mp3 or FLAC version of Feeling Fat. You will then be able to hear the complete track on your computer. If you prefer, you may use your CD burner on your computer to burn a CD of the track, which you then will be able to play on any CD player. Did you ever wonder why thin people seem to eat all they want without guilt? This ebook uncovers the hidden blueprint of the “fat personality.” It has nothing to do with typical dieting and exercise extremes. Instead, this ebook reveals certain habits and personality behaviors that are associated with being overweight. By honestly recognizing these behaviors and then gradually adopting the behaviors of naturally-thin people, the reader has the best chance of becoming naturally-thin! This course will provide you with the energy, the desire, and the focus that is needed to lose weight and keep the weight off. This course will help you make rational decisions about your eating habits, and give you the proper motivation needed to exercise properly. Regular Price: $37.99 ONLY $24.99. Worldwide Shipping is FREE! My Low Carb Success — Discover What the Low Carb Industry Doesn’t Want You To Know. 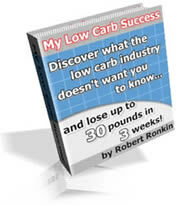 Robert Ronkin spent months researching low carb diets. He studied all of the books, manuals, research papers, and reports. Once he discovered the truth behind low carb dieting, it was easy to lose weight. That is why he put together all of this knowledge into an e-book designed to help you have the same success in your own life — My Low Carb Success. It’s an e-book for people like us to help finally get a handle on low carb dieting... filled with information about how to incorporate low carb dieting into your lifestyle without all the BS and “fads.” Backed by 90 day money back guarantee! Ultimate Weight Loss Revealed ebook “Finally! … an amazingly simple ‘it feels right’ weight loss method — that always works.” Lose 2 to 3 lbs weekly, look sexier and be healthier than ever with America’s best-kept weight loss secret — even without dieting, harsh exercise or pills! Here’s how the system works: A unique two-step approach will boost your body’s natural furnace — your metabolism — and you will speed up the rate at which your body burns calories. Naturally, the more calories your body burns, the less weight you gain. Imagine if you could make your body burn 30% to 50% or more calories than what it does now. Picture how much faster you would lose weight. 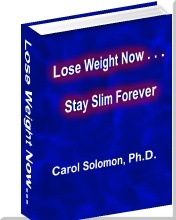 Physician’s Drug-Free Weight Loss ebook by Joy Siegrist, MD. No Drugs. No Exercise. No Counting Calories. No Starving. Burn fat naturally and never gain it back. Expel toxins, dissolve fat cells, and feel energized. The only way you can lose weight and keep it off is to get your natural fat-burners functioning normally and at peak efficiency again. This system shows you how. Beach Body features breakthrough training systems, rapid weight loss strategies, healthy nutritional supplements and the most effective support system ever created. It’s all here so you have the tools to get the body you will love without expensive equipment or time wasted at the gym. And with hundreds of thousands of success stories from real people like us and just like you, we’re proud to say — “this stuff works .” And the Beach Body Support Team of celebrity trainers, diet and fitness advisors, coaches and customers greet each new member with the same level of acceptance, personalized attention, and an eagerness to help people get results. It is the most awesome example of peer support you will ever experience. 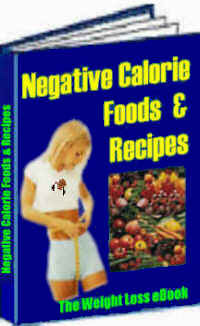 Negative Calorie Foods & Recipes ebook. Watch the Fat Disappear Naturally! A Safe & Fast Way To Permanent Weight Loss. Negative calorie foods are foods which use more calories to digest than the calories the foods actually contain! Calories from these foods are much harder for the body to breakdown and process. In other words, the body has to work harder in order to extract calories from these foods. This gives these foods a tremendous natural fat-burning advantage. Learn which foods will speed up your metabolism and transform your body into a fat-burning machine! Please see our Non-diet weight loss products, free tips, articles and resources. Online mood charts help predict mood swing cycles for bipolar mood disorders, depression, anxiety, pms and other mood swing disorders. Also, please see our links to other great sites about weight loss, body image, depression, eating disorders, self-esteem and sound healing.